Welsh football's most senior football official is vying for a place at the top table of the world game. 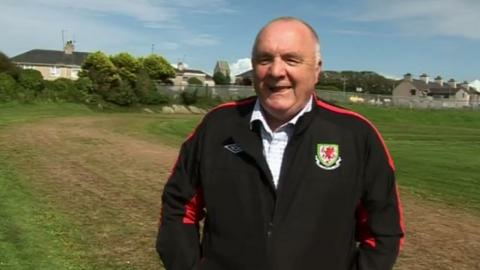 The FA of Wales has nominated its president, Trefor Lloyd Hughes, for a role on Fifa's executive committee. Hughes will be up against the English FA nominee David Gill for the vice-presidency reserved for the four British associations. The pair will now go through to a ballot of all member countries at the Uefa congress in Vienna, on 24 March. Scottish FA president Campbell Ogilvie is also standing. The vacancy has become available because incumbent Jim Boyce of Northern Ireland is retiring in May and has said he has no interest in standing again.